final illumination to come from within ourselves. Is it man's destiny to rule the world? Or is it a higher destiny possible for him-- one more wonderful than he has ever imagined? Daniel Quinn was born in 1935 and raised in Omaha, Nebraska. He graduated from Creighton Prep and attended St. Louis University, the University of Vienna and Loyola University of Chicago. Quinn worked in educational and consumer publishing, holding editorial positions with the American Peoples Encyclopedia, the Greater Cleveland Mathematics Program, the Encyclopedia Britannica Educational Corporation, Fuller and Dees Publishing and the Society for Visual Education. 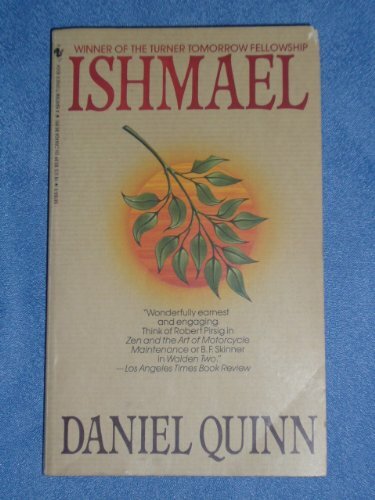 He is best known for his award-winning novel Ishmael (1992), which is about a gorilla able to telepathically communicate, but he has written other novels as well as short fiction.